2019 Heartland RV Road Warrior 396 Fifth Wheel Toy Hauler with 3 slide outs! Trailer is 42 feet long; there is 14.5 feet of cargo in the garage with 80 inches below rear bunk. 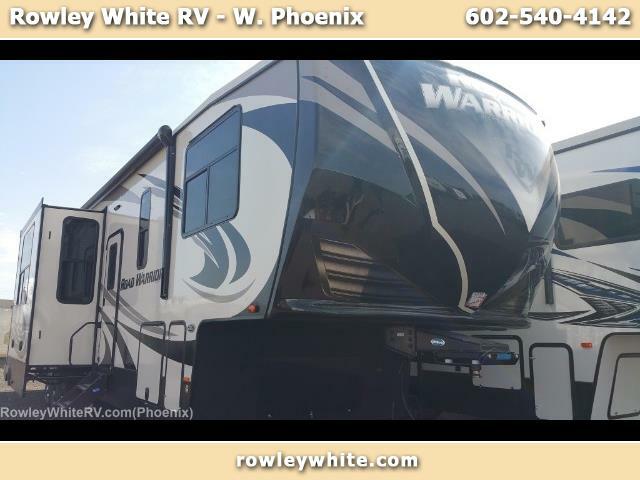 Rowley White RV carries several different brands of toyhaulers and 5th wheels giving you more to choose from, including this Road Warrior. This trailer has everything for the weekend adventure with Solar, generator and fuel station.